You’ve probably seen reports about demonstrations in Serbia these days, and you might have thought “oh, what am I going to do, will I get killed if I go to Serbia?” Keep calm, because nothing violent, dramatic or drastic is happening, and certainly nothing that could endanger either yourself, or your vehicle. We’ve been very busy these days conducting the tours, and taking nice photos of our adventures like the one you see here. However much we’d like to, we haven’t found time to attend the demonstrations so far and, believe it or not, although our headquarters are in the centre of Belgrade, we haven’t had the opportunity to even see the demonstators live. So, even if you’re only a few kilometres away from the national parliament where everything is taking place, you’ll hardly notice that anything is going on, unless you look at news web sites. And the places where your tours will take place this spring are not a few, but rather a few hundred kilometres away – being there, you wouldn’t even notice if a war errupted in Belgrade, and there is 0% chance of that happening. Serbia, not Siberia… But there’s not much difference! When the wind starts howling, wave after wave of snow blizzards encase the Kučaj mountains in white, everyone flees them as fast as possible, knowing that they can be stranded there until springtime. Everyone, except us. That is when we pack up our winter recovery gear and engage on the snowdrift surfing tour through that vast kingdom of the wolves… And when we conquer Kučaj winterscapes, it’s time to move over to western Serbia, for a whole different flavour of snow adventure! And inbetween our daily ice games, we’ll bask in the warm thermal pools and enjoy the spicy Serbian cuisine. There’s no better way to experience the Balkan winter! More details about the tour and registration on the Rustika Travel site. It depicts the second part of the tour, that took place in the mountains of eastern Serbia – all the way from the far south to the north. 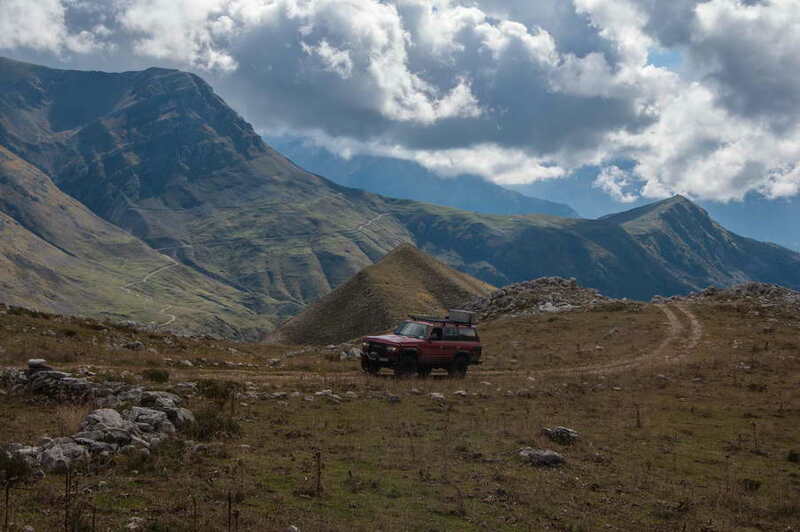 For more info about the tour, you can read our travelogue Discovering Wild Balkans. We’ve started with the longest standing material, the one from our last winter tour, in an effort to enable the candidates for the 2017 winter tour to see what they can expect. When the wind starts howling, wave after wave of snow blizzards encase the Kučaj mountains in white, everyone flees them as fast as possible, knowing that they can be stranded there until springtime. Everyone, except us. That is when we buckle up our snow chains, pack up our winter recovery gear, and engage on the snowdrift surfing tour through that vast kingdom of the wolves… And when we conquer Kučaj winterscapes, it’s time to move over to western Serbia, for a whole different flavour of snow adventure! And inbetween our daily ice games, we’ll bask in the warm thermal pools and enjoy the spicy Serbian cuisine. There’s no better way to experience the Balkan winter! More info in the tour announcement on Rustika Travel.